Various writings from the last 20 years, including 'The Possibility of Materialism’, my critique of David Chalmers' argument that there cannot be a materialist explanation of consciousness. Here’s where you can find material about the author J. G. Ballard. There’s a Collector’s Guide, interviews with the likes of Michael Moorcock, an in-depth discussion of The Atrocity Exhibition, plus articles and reviews. See J. G. Ballard contents. 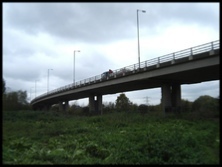 An occasional blog about walking in Essex and the edgelands of North East London, including my trek up the River Roding from the Thames to its source at Molehill Green. 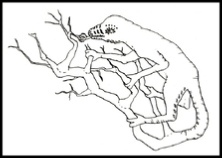 And in case you’re wondering, the drawing of the ‘tree creature’ is by Marcelo M. Maturana, and appears in "From Being to Doing" by H. Maturana & B. Poerksen.